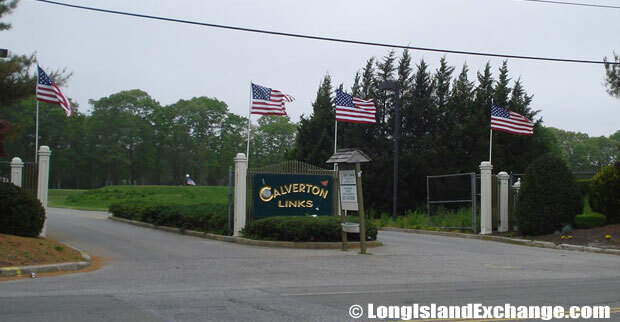 Calverton is a hamlet and census-designated place located in Suffolk County, Long Island, New York. 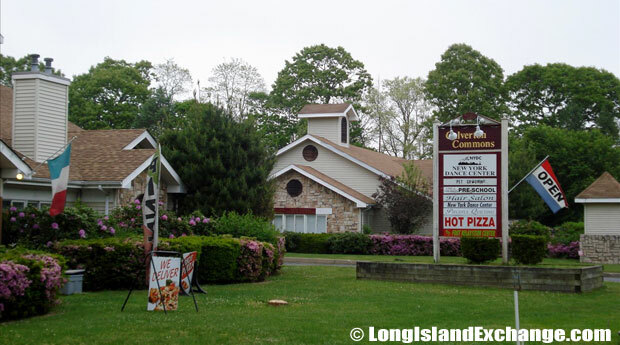 It is on the border of the Town of Riverhead and the Town of Brookhaven. Resident ancestries were Irish (23.5%), German (22.3%), Italian (21.3%), Polish (9.6%), English (7.5%), and United States (2.1%). As of 2010 census, there were 6,510 people, 2,950 households, and 1,787 families residing in the CDP. The median income for a household in the CDP was $55,191 and the median income for a family was $77,228. Males had a median income of $72,097 and $52,878 for females. The latitude of Calverton is 40.906N. The longitude is -72.743W. It is in the Eastern Standard time zone. Elevation is 30 feet. 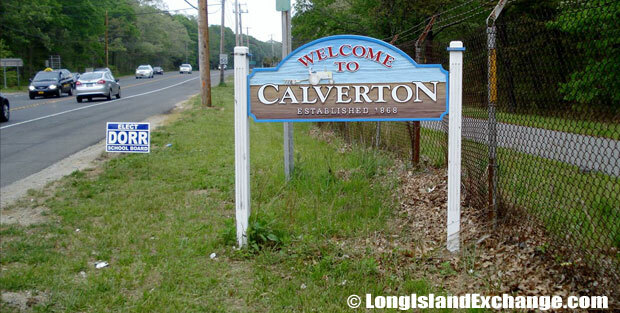 A sign welcomes visitors and residents to Calverton, a hamlet and census-designated place located in Suffolk County. Calverton Windy Acres Farm is a family owned and run farm in its 4th generation offering a variety of U-pick items such as strawberries, blueberries, and raspberries, tomatoes, peppers, eggplant, apples and pumpkins. In 1953, the Navy bought 6,000 acres of land in the area including the mansion of a grandson of F.W. Woolworth so that Grumman could test and finish jets. It remained a small farming community specializing in cranberries until the Navy purchased it. During 1970s, the cranberry farms of Davis Marsh off Swan Pond Road were closed and today are the site of the Swan Lake Golf Course. Miloski’s Poultry Farm, a 68-year-old family farm in Calverton. Calverton Commons, a small group of strip stores along 4462 Middle Country Road. The former and merged names include Baiting Hollow Station, Conungum, and Hulse’s Turnout. Conungum or Kanungum came from an Indian word which means a “fixed line”’ or “boundary”. The community was named after Bernard J. Calvert, a postmaster. A 10,000 foot runway was constructed for the Grumman’s F-14 Tomcat and E-2C Hawkeye jets and the Grumman Aircraft built planes here until 1995. Grumman Memorial Park on Route 25 near the Route 25A intersection. 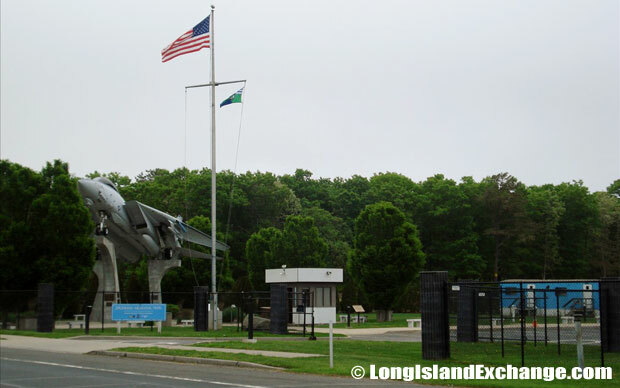 Grumman Memorial Park is a ten-acre site on the former Grumman Aerospace Flight Test Facility in Calverton. Sky diving is the major extreme sport which tourists and residents regularly enjoy in Calverton. 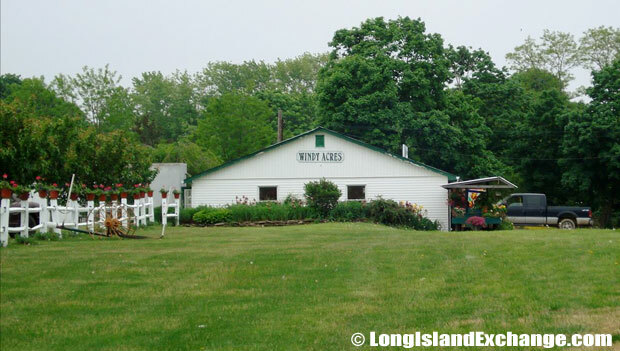 It is one of the largest landing areas in the United States and conveniently located 70 miles east of New York City. The Baiting Hollow Free Library is a Public library that serves the entire hamlet of Calverton. The library uses the Millennium library automation system and participates in the shared automation system provided by the Partnership of Automated Libraries in Suffolk County consortium. Calverton Links 18 Hole Golf Course. Calverton National Cemetery in nearby Wading River, a Veterans Cemetery with well over 200,000 graves. It has the largest area (1,045 acres) of any national cemetery, and the busiest in terms of daily burials with more than 7,000 burials each year. Calverton has many School Districts with its surrounding areas that offer good quality education for the students. If you’re a nature-friendly individual, Calverton is a perfect place for you to experience The Nature Conservancy Calverton Ponds Preserve that contains one of the highest concentrations of rare and endangered species in New York State. The preserve is also comprises one of the rarest and most fragile wetland ecosystems in North America that is located within the Long Island Central Pine Barrens Region, which consists of a complex mosaic of Pitch Pine woodlands, pine-oak forests, Coastal Plain Ponds, swamps, marshes, bogs, and streams. Pitch Pine and Oak trees, with a shrub layer of Scrub Oak, Huckleberry, and Blueberry dominate the woodlands.